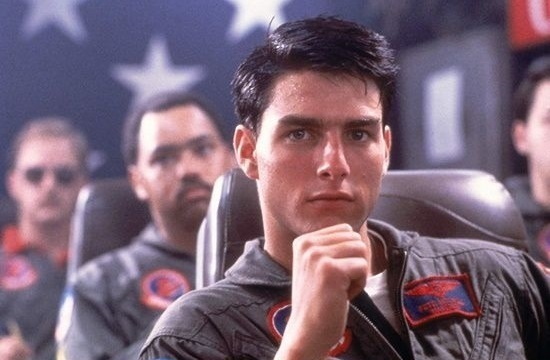 “Top Gun” fans are in for a treat, as the 1986 film starring Tom Cruise will return to the big screens in Korea. The much beloved action film will hit cinema screens again on Aug. 23, 31 years since the film premiered in South Korea, the film’s distributor Little Big Pictures said Tuesday. The surprise return of the megahit comes only a month after the release of Cruise’s “Mission: Impossible – Fallout,” which is scheduled to be released July 25. Cruise’s fans will be able to see how the actor has changed -- or not changed as the case may be -- over the last three decades up close, in a rare opportunity to watch the climatic dogfight scene on the big screen again. The original film, directed by Tony Scott, was an international hit, earning over $356 million in ticket sales worldwide. “Top Gun: Maverick,” a sequel to the original film, is currently in the works and is set to hit theaters in the summer of 2019. In May this year, Cruise tweeted a teaser image for the sequel, signaling the beginning of production for the film.